South of Dubrovnik (and even south of Čilipi which visitors will know as it’s the airport for Dubrovnik) there is the Konavle region. It’s basically a large valley that opens up in the middle of the rough-hewn grey mountains of Sniježnica to the west and the Adriatic to the east. While awash in mountain streams and pleasant, stone homes, not a lot of tourists go there. But historically, it’s been a very important area for the region. During the times of Ragusa, it was the breadbasket for the Republic. What they didn’t trade for was grown right there and it set the foundation of an agricultural tradition that led right in to a strong viticultural tradition. 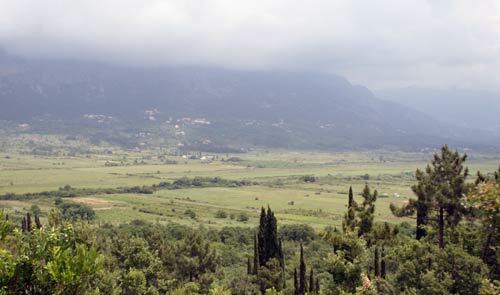 Just a bit more than a stone’s throw from the Adriatic, sits Crvik Winery. This family winery near the small village of Komaji has a 100 year tradition, but because of having to desert their vines during the Yugoslavian wars, they had to replant everything in 1995. Currently, they’re back up to a 100,000+ liters a year production that is pressed from two hectares of estate wine as well as some grapes that they buy from farmers near them. Their Maraština is a bright and crisp white with a hint of grapefruit to it. The fruit in the finish is quite pleasing. Their Malvasia by constrast is a great deal sweeter and much more fruity. It’s a semi-dry wine as the classification goes, but it is is still deep and tasty and not drifting in to any form of unwanted sweetness. Crvik’s take on Plavac Mali has a chocolate nose that moves in to having strawberry tones as it gets more air in it. It’s not very dry overall and has a good, smooth finish. A well-defined take on the wine with a strong body despite not having the sun blast you see further up in Dingač. 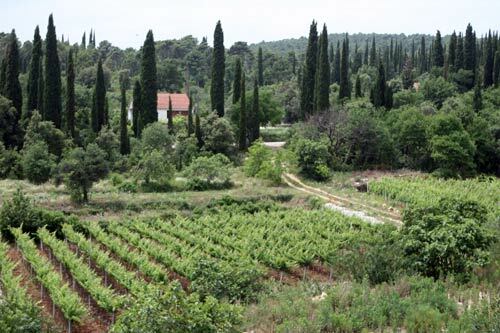 We talk a great deal more about other Croatian wine regions in our Dalmatian wine guide.